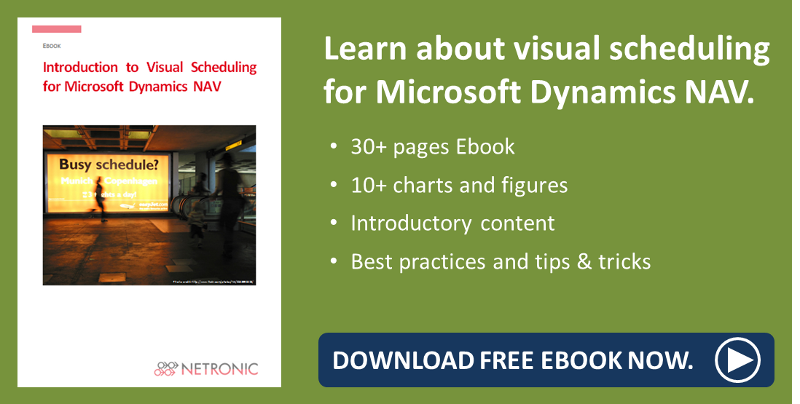 A new release of version 1.4 of the Visual Jobs Scheduler, our add-in for visual project planning in Dynamics NAV, is available. Several new features will further support you in precisely and comfortably planning your projects. As always, the description of all new features and fixed bugs can be found in the release notes. I also recommend this video where some selected features can be watched in action. Create more than one filters and store them for later use. This is done in the new dialog "Filter List" that pops up on starting the VJS (for data filters) or can be opened by clicking the new icon (for view filters). 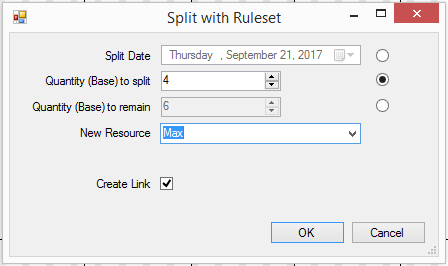 A new dialog allows to either specify the date at which the line is to be split or how the quantity is to be distributed. You can also allocate the new line to another resource and determine whether the two lines are to be linked or not. Lengthening or shortening a job by dragging its start or end will modify the planned quantity depending on the available resource capacity. The time scale settings (position, solution) can now be kept when views are switched. 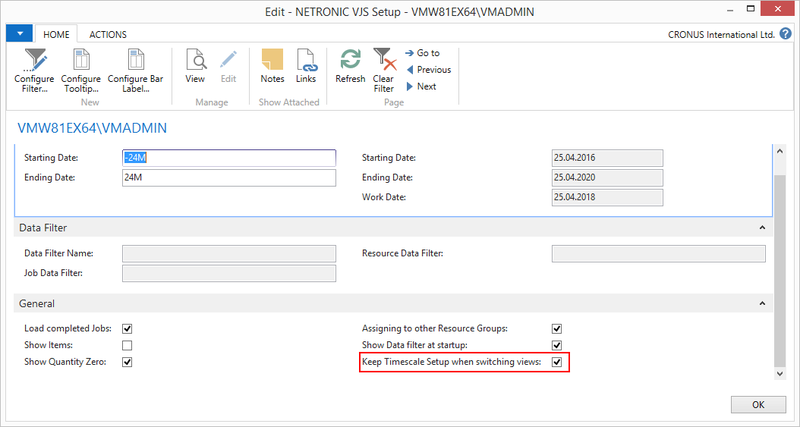 Tick the new option “Keep Timescale Setup when switching views” in the “Setup” dialog. Clicking a Job Planning Line will mark all Job Palnning Lines belonging to this job. Unmarking is currently not possible so that reloading of data will be necessary. Allocations of resources not being loaded into the VJS are now displayed as well. The view filter was enhanced so that you can now also filter on jobs fields. 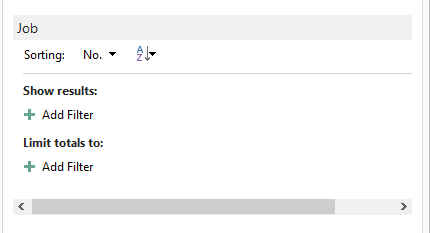 With the last release of the VJS, we introduced the time filter buttons that could be added to the menu ribbon by modifications of the CA/L code. If you plan with time of day, you can have your partner add a context menu item for temporarily turning work-free time into working time so that you will be able to extend a task into a period which is in fact a work-free one. This only applies to this one interaction and won’t increase capacity permamently. If you want to indicate a planned delivery date (or similar) for your jobs, the partner can add this functionality by modifications of the CA/L code. The date of the milestone symbol can’t be modified by drag & drop and turns red if the end date of a job planning line is later than the planned delivery date. Otherwise it appears grey. Resource capacity loads for non-project tasks, like holidays, trainings, or doctor's apppointments, can be handled by a "dummy" job containing all the “other reservations” so that they will stand out from the project-related tasks (e.g. as yellow bar) in the VJS. 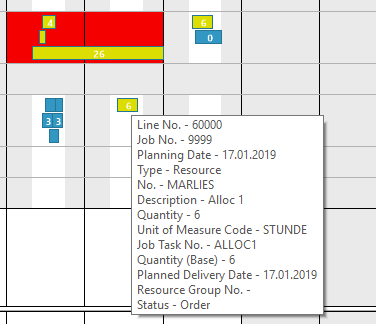 Moreover, an explanatory text can entered into the field “description” of the respective job planning line and will appear in the tooltip text of this “other reservations” bar. Webinars about selected features of our visual scheduling add-ins.